264 pages | 48 B/W Illus. 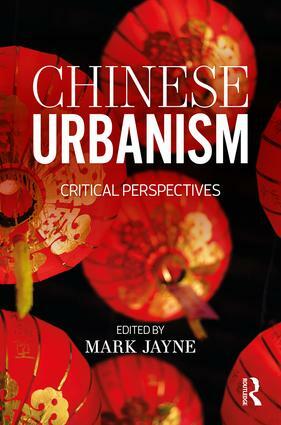 This book provides a definitive overview of contemporary developments in our understanding of urban life in China. Multidisciplinary perspectives outline the most significant critical, theoretical, methodological and empirical developments in our appreciation of Chinese cities in the context of an increasingly globalized world. Each chapter includes reviews and appraisals of past and current theoretical development and embarks on innovative theoretical directions relating toMarxist, feminist, post-structural, post-colonial and ‘more-than-representational’ thinking. The book provides an in-depth insight into urban change and considers in what ways theoretical engagement with Chinese cities contributes to our understanding of ‘global urbanism’. Chapters explore how new critical perspectives on economic, political, social, spatial, emotional, embodied and affective practices add value to our understanding of urban life in, and beyond, China. Chinese Urbanism offers valuable insights which will be of interest to students and scholars alike working in geography, urban studies, Asian studies, economics, political studies and beyond. Mark Jayne is Professor of Human Geography at Cardiff University, UK. He is a social and cultural geographer whose research interests include consumption, the urban order, city cultures and cultural economy and has published over 80 journal articles, book chapters and official reports. Mark is author of Cities and Consumption (Routledge, 2005), co-author of Alcohol, Drinking, Drunkenness: (Dis)Orderly Spaces (Ashgate, 2011) and Childhood, Family, Alcohol (Ashgate, 2015). Mark is also co-editor of City of Quarters: Urban Villages in the Contemporary City (Ashgate, 2004), Small Cities: Urban Experience Beyond the Metropolis (Routledge, 2006), Urban Theory Beyond the West: A World of Cities (Routledge, 2012) and Urban Theory: New Critical Perspectives (Routledge, 2017).